Excellent results in the client and stakeholder survey. According to the results, stakeholders are very willing to recommend Finnvera and its services. The best-ever result in the PeoplePower personnel survey. 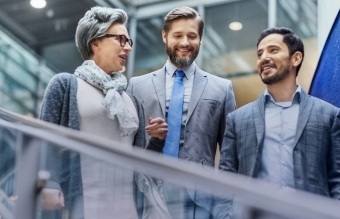 Finnvera was rated as one of the most inspiring places to work in the Suomen innostavimmat työpaikat survey, carried out among the enterprises that conducted Corporate Spirit’s PeoplePower personnel survey. 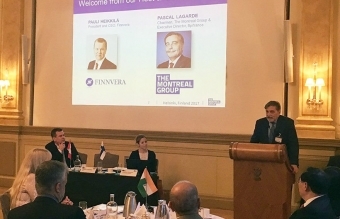 Finnvera hosted the annual meeting of The Montreal Group in Helsinki in June. The group is a global forum for national development banks focused on micro, small and medium-sized enterprises. The determination of skills needed for the future in order to ensure that Finnvera can better respond to changes in the world of financing, for instance, and that Finnvera has the best and most dedicated employees in the future, too. Digitalisation is a challenge for the entire financial sector, for which Finnvera prepares by creating a digital agenda and by getting ready for digitalising its operations to an appropriate extent.